We are nicely placed halfway between Wymondham and Hingham. 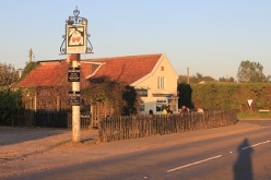 From Wymondham take the B1135 and head for Dereham, Wicklewood will be signposted on the left after the little humpbacked river bridge. From Hingham, head out on the B1108 towards Norwich, and Wicklewood is signposted off to the right. 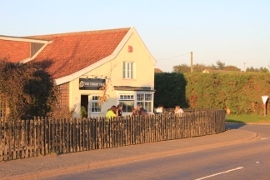 The pub is at the top of the High Street and has ample car parking.